It’s legal to eat cats in many parts of China; however as attitudes towards the animals change, so are many practices in the nation’s northeast province, Liaoning. Those that do partake in cat consumption rely on various means for their source of feline filets, but this source is becoming more difficult to come by as cat-lovers work to adopt strays and form pet-loving communities to protect their pets. Daily News reports that more than 1,000 cats were saved from the fur and meat trade this week by an online group of pet lovers searching for their stolen cats. Though some cats being sold were strays, a majority appear to have been pets that were taken by a small group of animal traffickers. Since their plot was foiled, over 300 of the cats have been reunited with their owners. 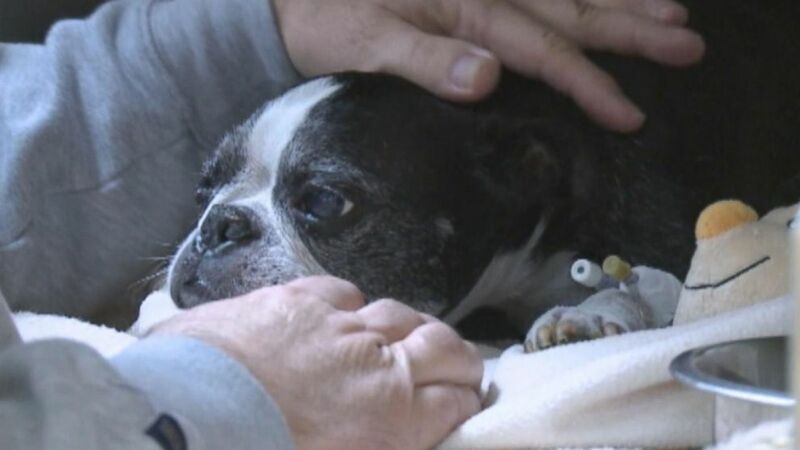 Sam, a 13-year-old Boston terrier, went through quite the ordeal when he stumbled off the balcony of his 15-story condo this week. The dog has had poor vision for some time, but his impairment has been balanced by his other senses. Recently, however, further lapses in ability or senses have led to him plummeting to his near-demise. Luckily for Sam, a well-placed hot tub managed to break his fall with a splash that alerted neighbors to the situation. Despite his impressive landing into the dead-center of the tub, he still suffered five broken ribs and several fractures to his pelvis. ABC News reports that Sam is currently recovering and that his family is happy he’s okay and is anxiously awaiting his release from veterinary care. Antioch, California, has a problem with cats that is all too common: an ever-growing feral population. Though citizens agree that there are too many cats in the city, they do not agree with the city council’s proposed solution. 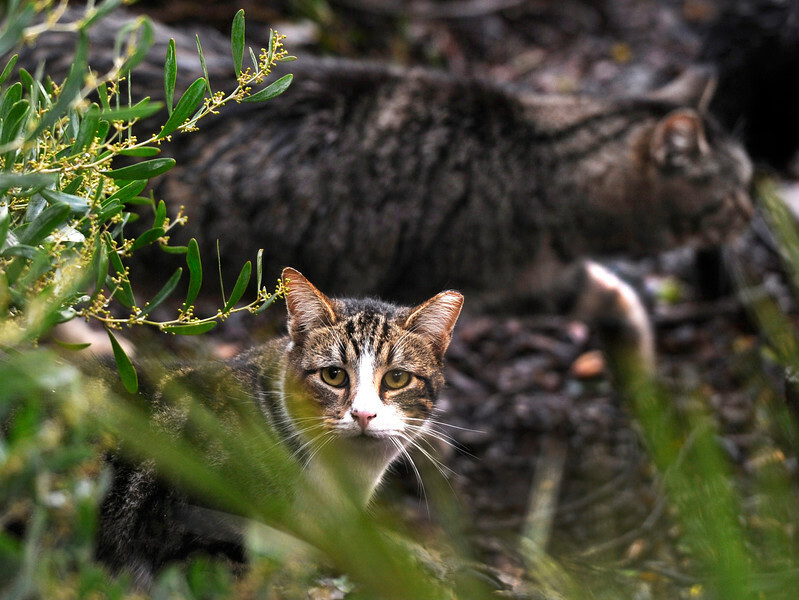 In April of this year, the city council passed a ban on feeding feral cats. The decision has cause schisms in many volunteer communities that had been used to working with animal services, with many citizens refusing to obey the ordinance and declaring it a poor policy decision. According to the San Jose Mercury News, it’s been difficult for the city to enforce the ordinance which has made the legislation incredibly ineffective. Animal Services Supervisor Monika Helgemo has stated that feeding the cats has caused many problems, but a lack of funding and staffing has made the ordinance nearly impossible to implement. In the meanwhile, volunteer groups are continuing to implement trap-neuter-release programs in an attempt to keep the population under control. Even though Christmas is over, many of us still enjoy singing the delightful songs of the season... or at least have their melodies stuck in our heads. For those who haven't tired of the tunes but seek new words to sing, RomeotheCat has posted a delightful adaptation of a holiday favorite. The song chronicles the daily mornings of cat lovers everywhere and is set to the merry tune of "Up on the Rooftop". Not only does it sound great when sung aloud, but it's also quite comical. So if you happen to have this tune playing in your head or on your stereo, check out Romeo's version and sing-a-long! 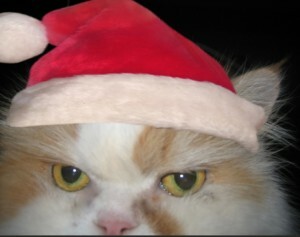 You can also check out their blog for other fun posts about Pugley the cat and important cat news. Proceeds raised by the site help out cat rescues with various fundraisers and programs- so check them out and donate if you can!